The situation in the anti-terrorist operation (ATO) zone in eastern Ukraine was tense from 0000 to 1800 Kyiv time on Saturday. Militants haven't stopped attacking the Ukrainian army, having shelled the Ukrainian positions 21 times in total on Saturday. The enemy used small arms in most cases, the ATO press center reported on Facebook. Skirmishes took place near the villages of Donetsky and Zhovte in Luhansk region. The attacks were successfully repelled by Ukrainian soldiers. Over the period under review, militants fired 19 mortar shells at the Ukrainian positions near the village of Sokilnyky in Luhansk region. 120mm caliber mortars were used four times. At about 0700 Kyiv time on Saturday the gun of a tank was firing on the Ukrainian positions. The enemy also used an antitank missile system near the village of Syze in Luhansk region. In Donetsk region, the enemy fired on Ukrainian troops near the town of Krasnohorivka, using small arms. 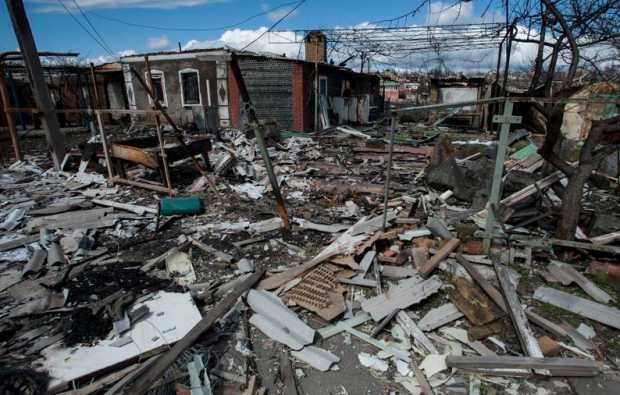 The Ukrainian positions near the villages of Opytne and Shyrokyne were attacked twice. What is more, militants twice used mortars to shell Ukrainian troops near the village of Pisky near the destroyed Donetsk airport and an anti-aircraft system was engaged near the town of Avdiyivka in Donetsk region. No shelling of towns and villages in territory controlled by Ukraine was registered over the period under review. UNIAN earlier reported with reference to the ATO press center that Russian-backed militants attacked ATO forces 18 times on Friday.